What a massive year 2015 was for Wiley. We’ve loved being able to share with you our industry knowledge, world experience, meaningful connections and shared successes with our clients every step of the way. Wiley, has secured a new deal to upgrade GrainCorp Foods’ existing operations in West Footscray, Victoria, to deliver a world-class processing plant featuring extra capability including retail spreads, bakery fats, and shortenings. The project is part of a wider initiative by GrainCorp Oils to integrate its edible oils and spreads manufacturing operations, which will increase its overall competitiveness and reduce carbon emissions by around 25,000 tonnes per year. Read me now. 2. Innovation in the Australian food industry. A blueprint for the future. 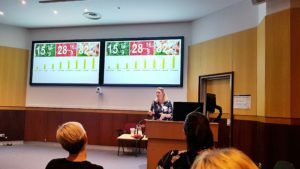 As part of an ongoing collaboration, Wiley and the University of Southern Queensland have recently worked together to lay out a blueprint for the future of innovation in the Australian Food Industry. The result? 50 insights relating to what innovations the food industry can expect, when they can be expected and who will be affected. Read me now. With the profitability of the food industry quickly dissipating it is high time we turn our attention to what is driving this fall and how we can work to improve profitability. The task is clear. The factory of the future must be competitive on a world standard; our labour will always be expensive, so we must seek ways to minimise these costs using technology and improving the productivity of remaining labour positions. Read me now. Brisbane Markets Limited (BML) recently awarded Wiley the contract to design and build stage two of the project comprising a $3.7 million roof extension covering 2,500m2. 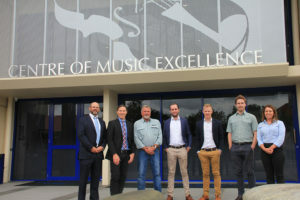 This follows Wiley’s work on stage one involving a $6.3 million roof upgrade covering 8,000m2, which is on schedule for completion in April this year. Read me now. Huon Aquaculture officially opened its new Smokehouse and Product Innovation Centre in Parramatta Creek, comprised of a 2,500m2 value-added salmon processing facility and a 750m2 administration facility. 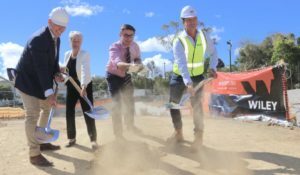 Huon and Wiley celebrated the new facility involving a revamp and extension of Huon’s existing Parramatta Creek operation, now twice as large as its original footprint. Read me now. Thanks for joining us on the 2015 chapter of the Wiley story. Looking forward to another jam-packed year in 2016.